Camp Director is just one of the many hats Jessica Irwin wears. Jessica is also the CEO and owner of S.E.E.K. Arizona and the President of the non-profit organization, The Foundation for Exceptional Kids. 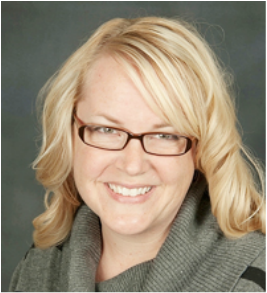 As Camp Director, Jessica ensures that the individual needs of each camper is accounted for in order to guarantee that each and every person enjoys their entire experience at camp. Fun is the first rule of camp! Dedicated 1-on-1 respite providers guide each child with special needs through their daily group activities. Each camp pal is trained to meet the particular needs of the child with whom they are paired. 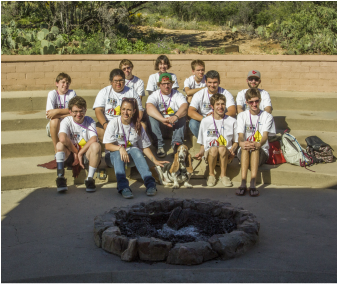 Pals are also specially trained on how to help the child have only the best and most fun camp experience they possibly can! Trained and experienced camp counselors guide typical siblings through their daily group activities. 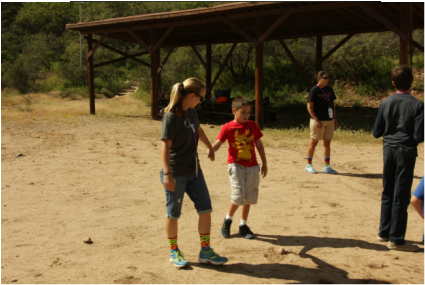 Every camp counselor is trained to meet the particular needs of the children with whom they are paired. 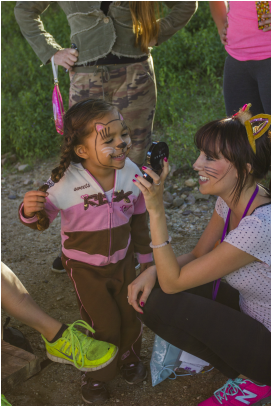 Counselors are also specially trained on how to help each child have only the best and most fun camp experience they possibly can! This unique training program allows teens to assist in the various aspects of camp and learn from and work directly with camp and group leaders. While the teens have lots of fun, they also work hard and are a huge asset to Camp Runamuk. Most teens that attend Camp Runamuk as Counselors-In-Training are also participants in S.E.E.K. Arizona's Life Skills Academies programs. Available, certified, Animal Assisted Therapy dogs and service dogs join us for camp!